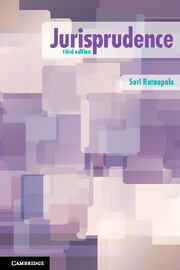 Fish's writings on philosophy, politics and law comprise numerous books and articles produced over many decades. 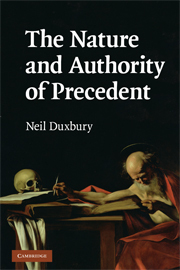 This book connects those dots in order to reveal the overall structure of his argument and to demonstrate how his work in politics and law flows logically from his philosophical stands on the nature of the self, epistemology and the role of theory. 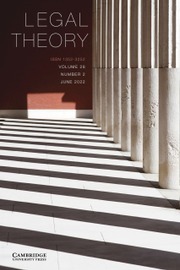 Michael Robertson considers Fish's political critiques of liberalism, critical theory, postmodernism and pragmatism before turning to his observations on political substance and political practice. 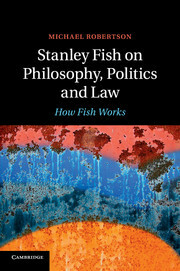 The detailed analysis of Fish's jurisprudence explores his relationships to legal positivism, legal formalism, legal realism and critical legal studies, as well as his debate with Ronald Dworkin. 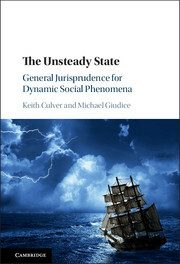 Gaps and inconsistencies in Fish's arguments are fully explored, and the author provides a description of Fish's own positive account of law and deals with the charge that Fish is an indeterminacy theorist who undermines the rule of law. 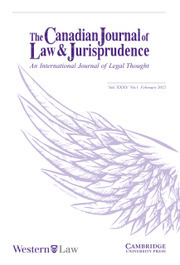 Michael Robertson is an Associate Professor of Law in the Faculty of Law at the University of Otago, New Zealand, where he teaches courses in jurisprudence, legal theory and law and society.